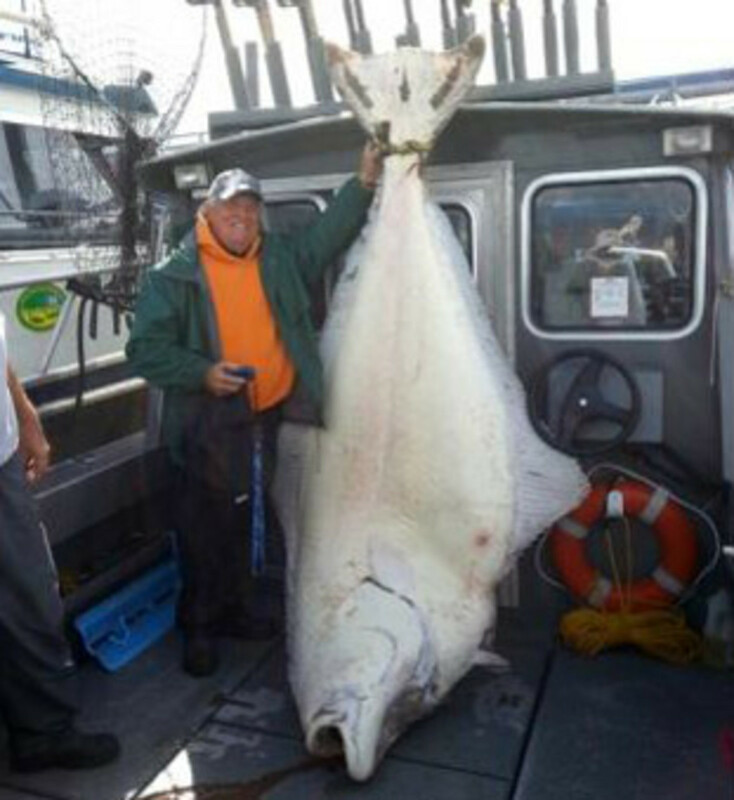 A California angler on a fishing trip near Alaska’s Glacier Bay hooked the “catch of a lifetime,” a 482-pound halibut. Jack McGuire, 76, and three of his friends were on a weeklong fishing trip when the experienced angler hooked a fish that felt as big as any he’d ever caught. After a 40-minute battle, it was charterboat captain Rye Phillips who caught the first glimpse of the massive Pacific halibut being pulled to the surface. This fish — when landed — weighed 482 pounds and measured 95 inches. It trumped the 459-pound Pacific halibut caught off Alaska’s coast in 1996 and considered to be the world record. But the catch didn’t meet International Game Fish Association world-record regulations: The halibut was shot, then harpooned before it was hauled aboard. The largest recorded non-IGFA Pacific halibut ever pulled in was a 495-pounder caught near Petersburgh, Alaska.